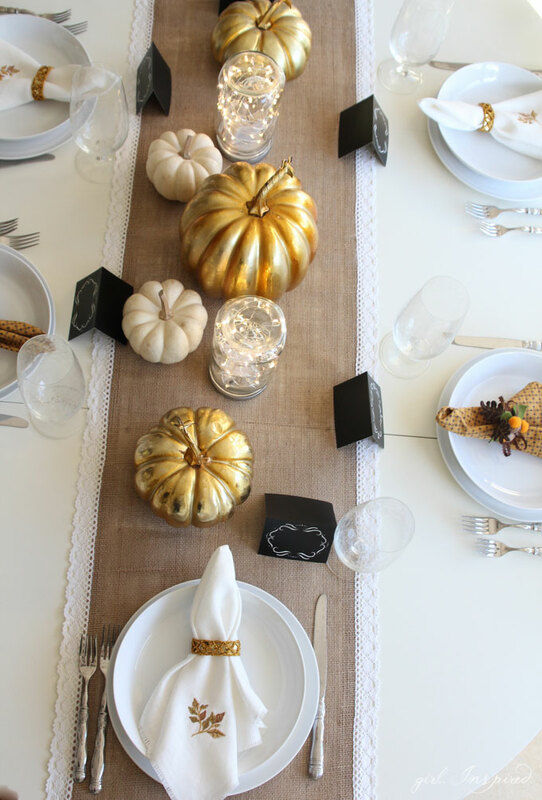 Setting a warm, welcoming Thanksgiving table brings me so much joy. We host this family-centered holiday every year and the day is filled with good food, people I love and nostalgia of years past. 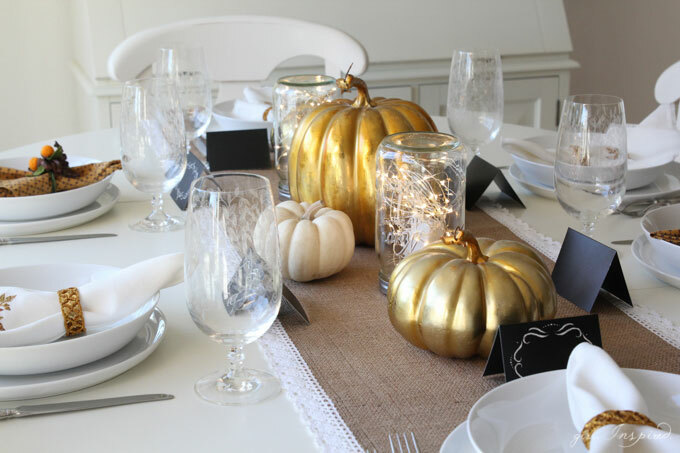 This year, I will put together a simple table filled with charm and sparkle. 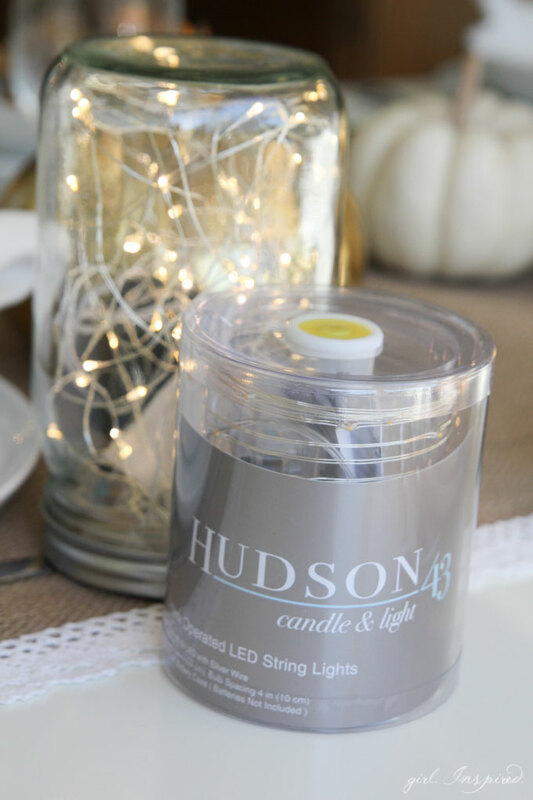 My favorite part of the table are the simple DIY Mason Jar Luminaries! 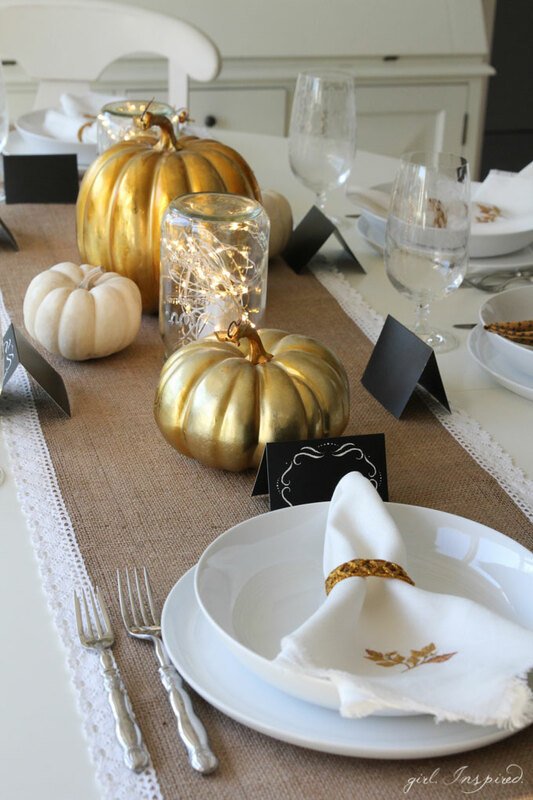 They were so easy to make and they add light and warmth to the table without candles. 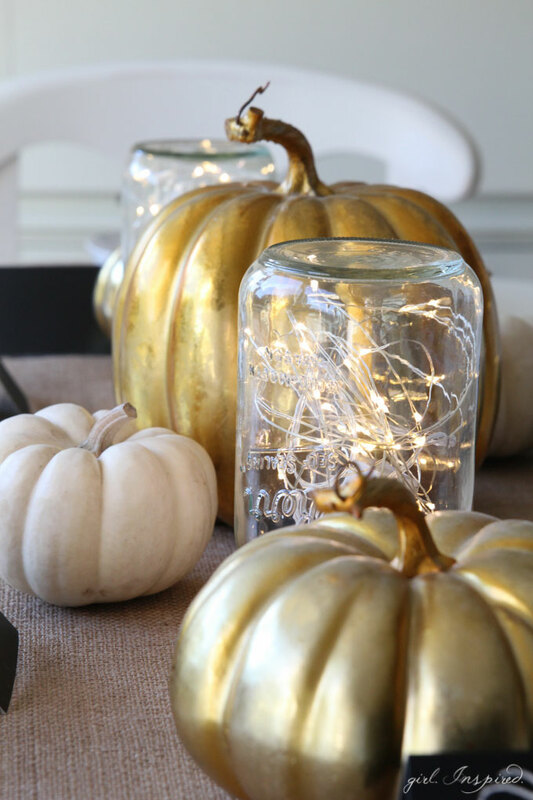 You need only a few items to make your own Mason Jar Luminaries. 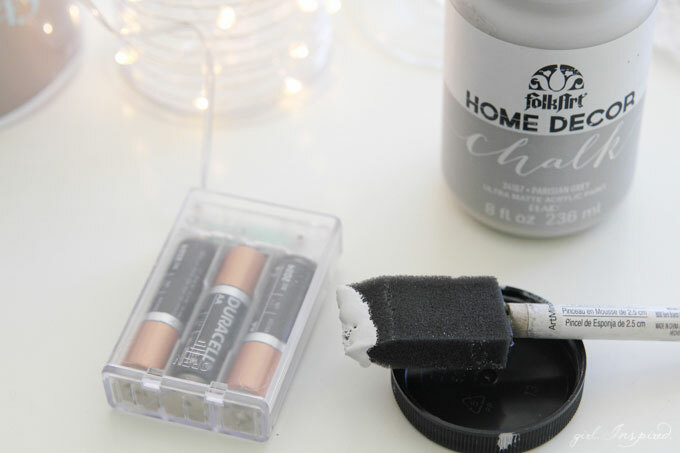 The string lights need a little preparation, but you will need to add batteries to the battery pack, which unfortunately for this project, is clear. The battery color was visible inside the luminary jars, so I just gave the outer case a quick coat of chalk paint (which dries to a matte finish in a few minutes). That’s it. Now it’ll blend right in. 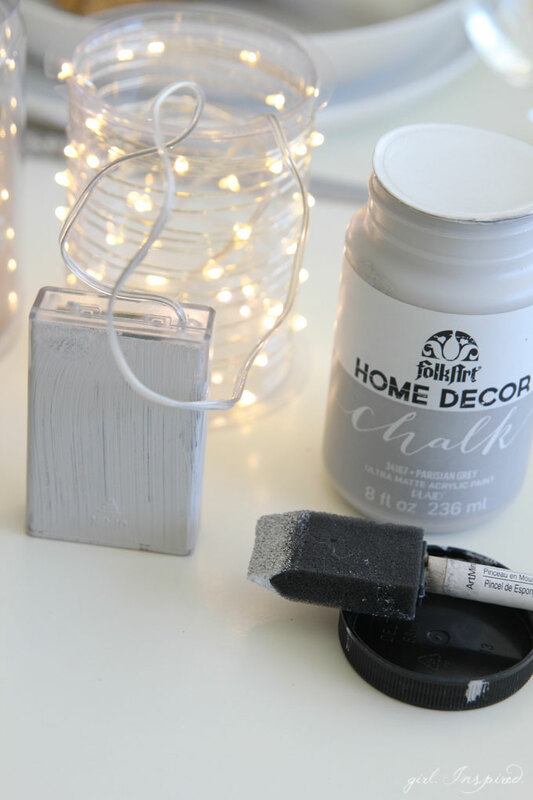 Load your string of lights into the mason jar, fluffing them so they fill out the jar nicely. Hold the battery pack towards the top of the jar and put the lid on. Tip the jar upside down and set it on its lid. The battery pack should rest at the bottom and the lights should be around and above the battery pack. So pretty, right? 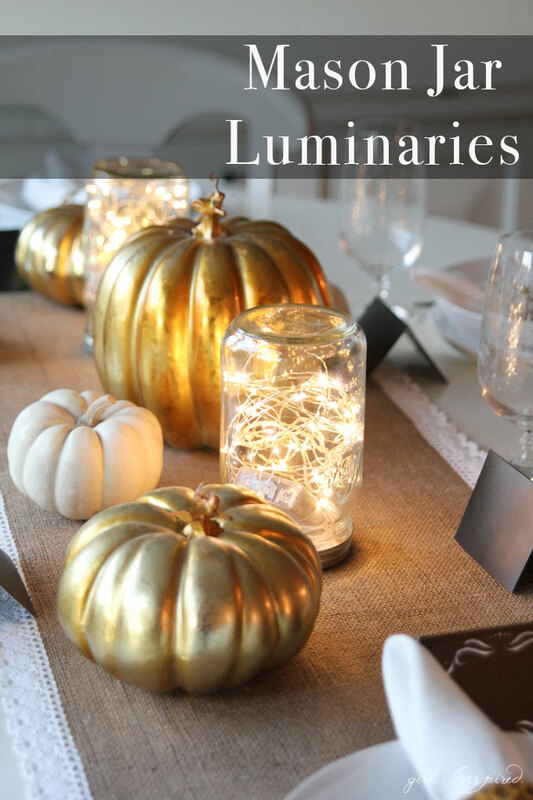 Wait until you see your table glowing with these beauties! 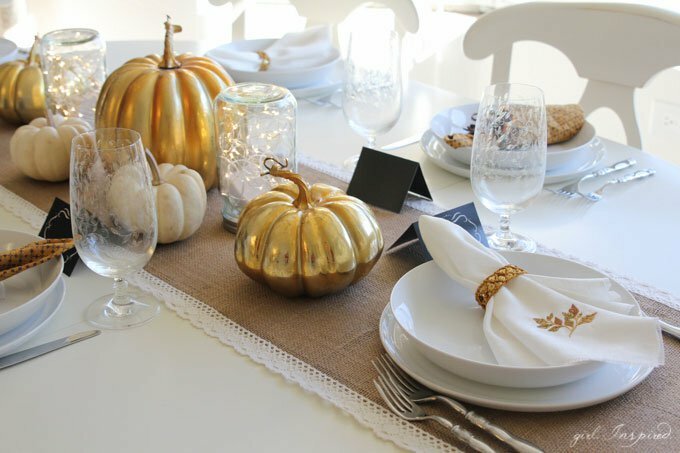 I finished off my table with [some] of the gold pumpkins that I collected from The Pumpkin Boutique this fall. (So happy to continue using them throughout the season!) I also added in a few small, white pumpkins (grocery store) and some adorable chalkboard name cards (from my local JOANN store). 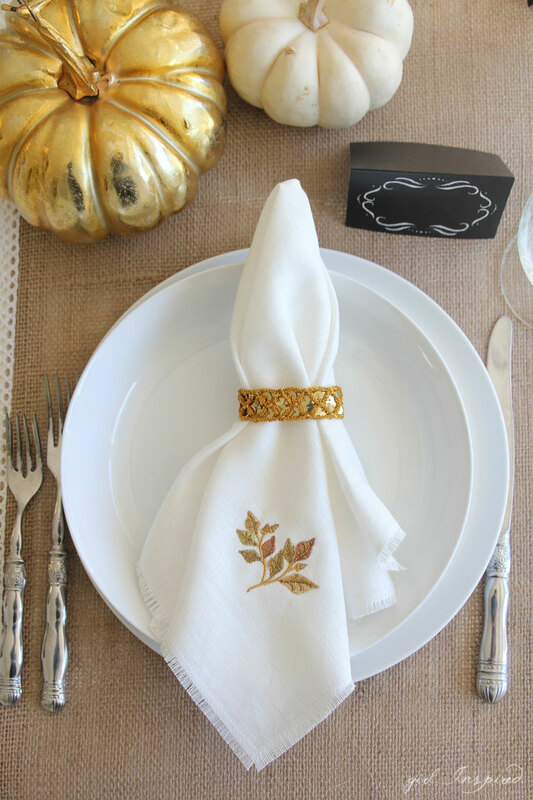 And finally, I made a fresh batch of napkins and napkin rings to add to my fall napkin collection. You can get the how-to for these gorgeous DIY Linen Fringe napkins over at Girl. Inspired. 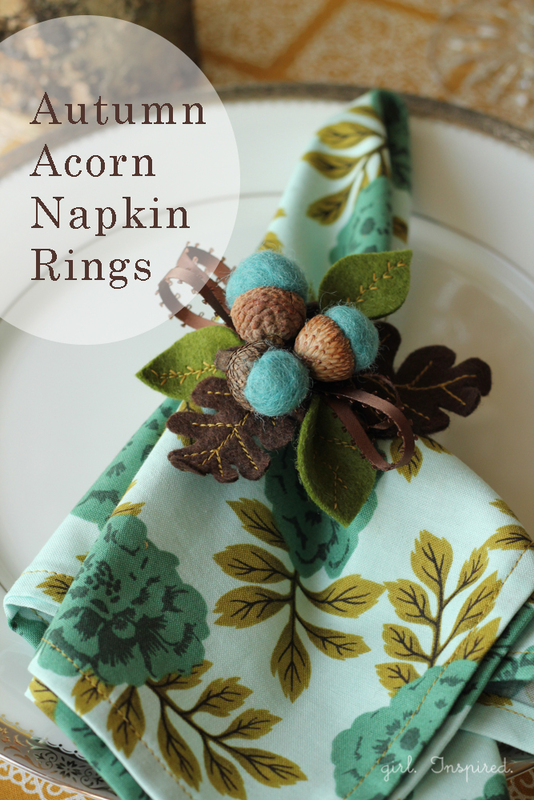 For more Thanksgiving table ideas, don’t forget to check out these Autumn Acorn Napkin Rings and this traditional Cloth Dinner Napkin sewing tutorial. 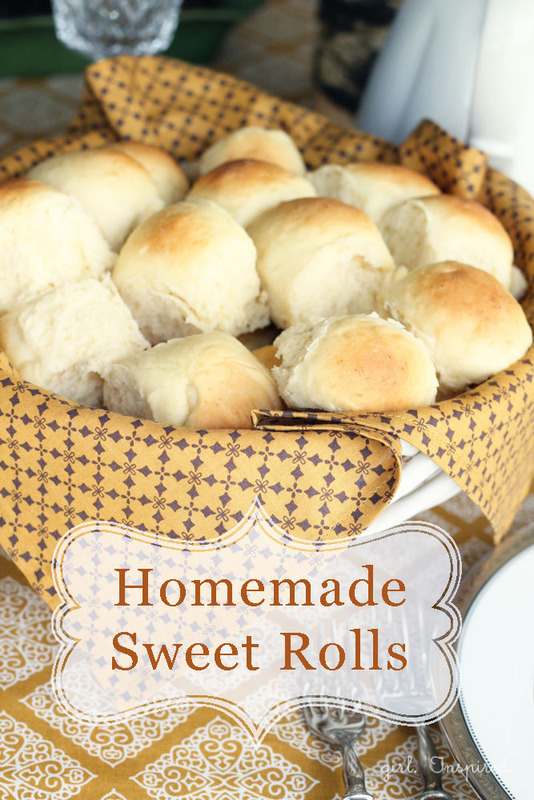 And, of course, my granny’s best yeast dinner rolls you’ll ever have! These are the real reason we make Thanksgiving dinner – lots and lots of rolls… and pumpkin pie!